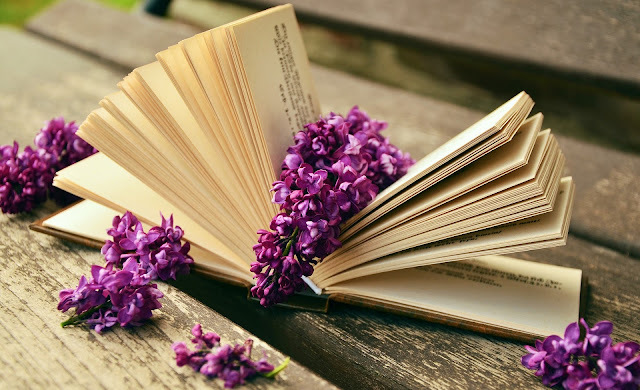 A List Of 10 Books Every Woman Must Read In A Lifetime! Books are not just for pleasure. As women, we have to look at life in a more nuanced manner. At the same time, women all over the world are subject to the patriarchy or social barriers in one form or other. To learn from the experiences of strong, exemplary women (even if they are fictional), women can turn to books. On a lighter note, women can also find an escape from their troubles by immersing into a book. So when they get back to their life, they are ready to take on the world. Here we’ve compiled a list of books with a concoction of genres - classic, contemporary, escapist and realistic. However, they all have one common element: they are books that every woman should read and learn from in her lifetime. You may also want to check out our list of best books by women author. You must have heard about this book in your school’s library. Jane Eyre’s protagonist of the same name starts out as a helpless orphan and goes on to make something of herself whenever she got the chance. She endures several difficult trials, both physical and emotional, and emerges triumphant with a solid fortune, rock-solid will power and resilient nature. This story represents women’s struggle for independence and the extent to which they can prove themselves. Penned by a more contemporary author, this fascinating hodgepodge of magic, colors, and abundant nature is a prequel to the classic Jane Eyre. Additionally, it is also a feminist struggle on the basis of ego and economic power. This fascinating book will not only change the reading of Jane Eyre for you, it will also transform the way you read classic literature. This is the story of Bertha (renamed from Antoinette), the woman locked away in the attic, who was the only barrier to Jane marrying Mr. Rochester. This is a twisting and disturbing story of the Creole, a woman who was given no voice other than that of a madwoman. Wide Sargasso Sea would make you gasp with realization and recognition as tiny details of Jane Eyre are brought to life in a vivid fashion. Written by one of the masters of writing style (White has also written books on how to become an amazing writer), this book is commonly known as a children’s classic. Why do you need to read it? Well, it gives you the best of both worlds: both as a narrative that you could easily get caught up in and forget your daily worries and as a story that challenges you to think about difficult matters. On the surface, it’s about a spider helping out a pig. Inside, it raises questions about the treatment of animals and the value of thinking on the spot as well as a reminder of the beauty and presence of nature. The value of friendship, of course, is another factor, something that every woman must remember to uphold. Again on the contemporary side, Matilda is also known as a children’s classic but it should not be ignored by grown women. This is because Matilda, at a very young age, has had several apparently insurmountable obstacles thrown at her. A lack of family support, a terrifying regime at school and amazing intellect are all the elements in the character that make her special. This may well be the story of numerous women around the globe, no matter what their age. The brilliance, kindness, and resilience of Matilda will both inspire and entertain women everywhere. In fact, this is only the first novel of the four-part series. All four books are a classic that have been inspiring women for decades. Each of the characters in the novel represents a different kind of woman and each one of them is timeless. It’s a story that can hold your heart no matter how much you try to control yourself. When you finish reading it, you will end up getting valuable lessons about family, life, love and undying friendship. Again, this is a series, albeit on the contemporary side. As of this moment, you will either have devoured the books already or condescendingly think of them as fantastical works for children. Harry Potter goes beyond mere fantasy. It’s a world where you can lose yourself, but also learn a great deal about friendship, family, longing, and even politics. From the downtrodden to the savior, the protagonist embodies the female author’s struggle and depression, which everywoman should take inspiration from. Coupled with its sequel, Alice Through the Looking Glass, this book is a majorly escapist fantasy novel, which is nevertheless grounded in reality. Women seeking a hilarious and entertaining read in the classical form would do well to pick up this book. Those with a literary analysis streak would appreciate the political undercurrent in this work. The Wonderful Wizard of Oz is yet another books in this genre that worth a read. The actual diary of a young Jewish girl, this book details the plight of Anne Frank and her family during the Holocaust in Germany. This book is inspiring not only because Anne Frank herself is so natural that every woman can relate to her but because the realities exposed here must be a part of everyone’s knowledge. Women, who are instrumental in shaping the thinking of their loved ones must be reminded about how easy it is to shun and destroy anyone simply because a dictator said so. A dystopian tale in which women are only used for two main functions: decoration and breeding. The most chilling part about this story is that it is perceived as a world that women were a part of fighting for. This book reminds women that they cannot unshackle themselves from the glitches of gender oppression unless they take steps to prevent it. This contemporary novel is probably a misfit in this list as it is neither a classic (yet) nor a particularly a classic piece of fiction. It does, however, highlight the quandary of a woman trapped in a life she chose because of her own insecurities. Behind Closed Doors is probably a book that every woman can relate to, both in accepting herself the way she is, and being tenacious to her values. Eileen Burton is a Pro Writer and Blogger. Throughout her writing career, she has written plenty of miniseries that address the various themes of women. As an academic writer, she is known for her exceptional assignment writing service. She is a fitness freak and spends her free time in gardening.